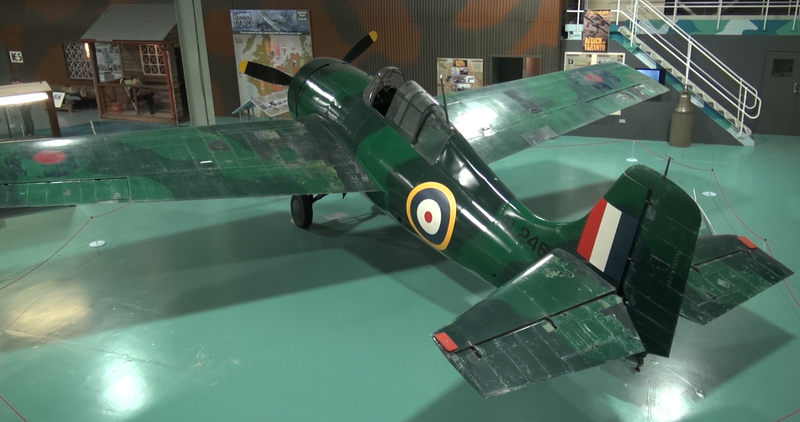 After our short detour to Heathrow to drop one of our number off for his flight back to New Zealand, we headed south-west again into the Somerset area for a look at the Fleet Air Arm Museum at the Royal Naval Air Station Yeovilton. 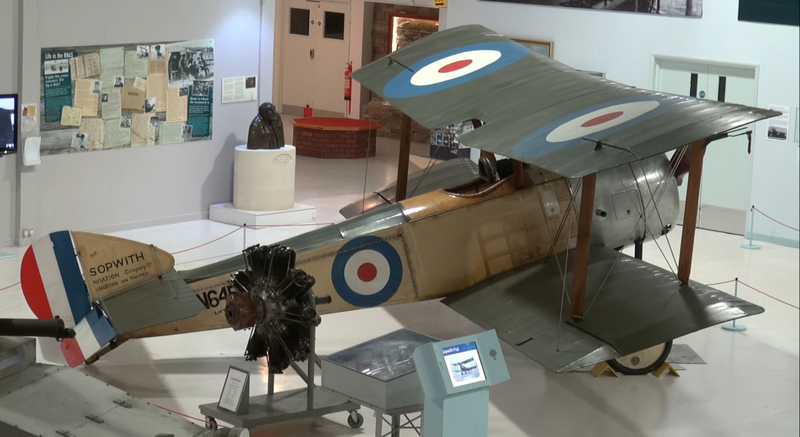 This museum is dedicated to everything that the aviation wing of the Royal Navy has done and achieved in the past 100 years, beginning with the Royal Naval Air Service during the First World War, through the Second World War, and into the age of jet aircraft and helicopters operating from massive aircraft carriers during the Cold War and beyond. As with many of the museums we’ve visited, the Fleet Air Arm Museum has a great collection of aircraft, many of which (such as the Short S.27) we’d not previously seen anywhere else. Sopwith Pup – one of the first aircraft to be launched from and landed on a ship. Additionally, just like the R.A.F. Museums in London and Cosford, the display halls in Yeovilton are well lit and spacious, allowing visitors to have great access around most of the aircraft—it’s possible to view most of the displays from multiple angles (including overhead in a number of some cases), making the experience that much better and more enjoyable. 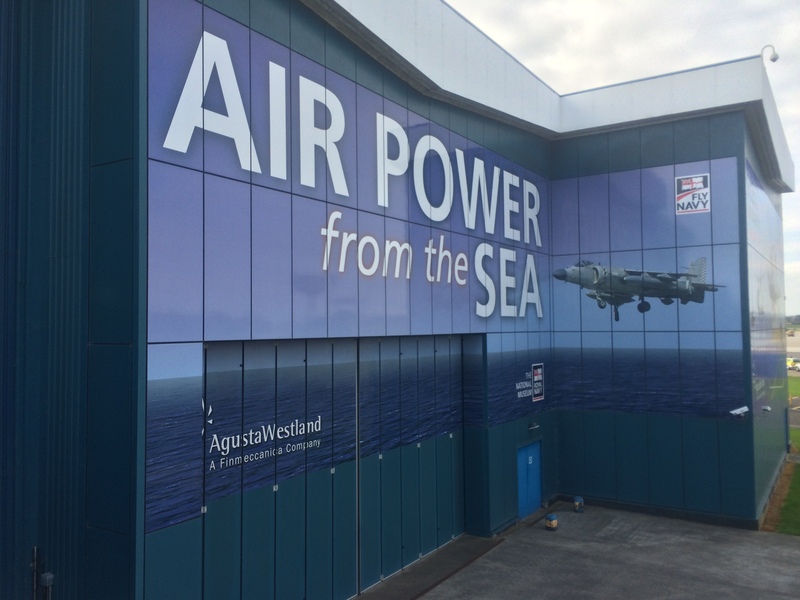 One of the unique displays at the museum is the mock-up of the flight deck of the aircraft carrier HMS Ark Royal as it would have appeared in the 1970s. You enter this display area via a simulated helicopter ride, and you then spend the next 35 minutes or so being led through the display area (the flight deck and island) by simulated flight deck crew who tell you about the displays and the activity on the deck. It’s a great way to portray the aircraft and the workings of an aircraft carrier. It’s interesting to note that the Fleet Air Arm Museum also has some aircraft on display that don’t fit strictly within what you would expect of a naval aviation museum—the prime example of this being Concorde 002—the first British-built Concorde to take to the skies in 1969. There are also a couple of other experimental jet aircraft in the same hall—the Handley Page HP115 (built to explore the performance of low delta wings at low speeds) and Hawker P117 (built as part of the development process that led to the Hawker Harrier)—interesting aircraft in their own right, but we’re still not sure what they have to do with naval aviation! Grumman Martlet (a.k.a. Wildcat) in original Fleet Air Arm colours. All in all the museum is another good facility to visit if you happen to be in the Somerset area, and the fact that you can get a 12-month Gift Aid pass (allowing you free entery anytime in the 12 months after your first visit) is certainly good value if you’re able to make a repeat visit or two—as with many of the museums in the UK, taking everything in on a single visit is a daunting task, so a free repeat visit is a great option. 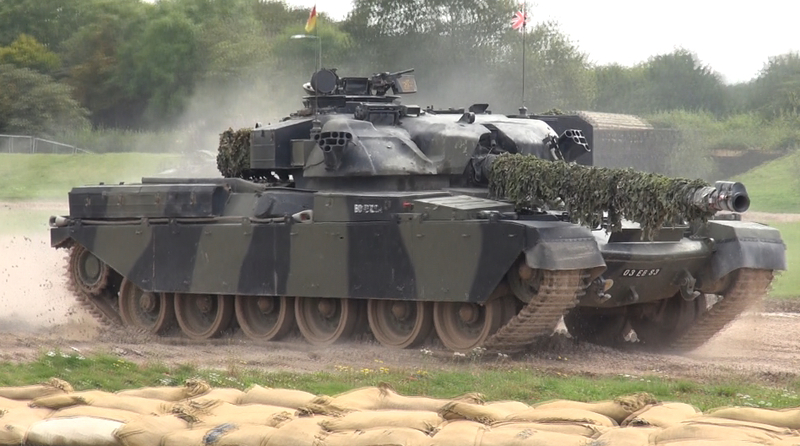 One of the main battle tanks on display in the Bovington Arena. When we’d had our fill of naval aviation we decided that as we had 12 month passes to the Tank Museum at Bovington, and given that we were only a one hour drive away, we’d go and have a second visit to that fabulous museum as well. It was a good chance to take a good look at some of the things we’d not had time for earlier in the trip, including Tiger 131, the first Tiger tank captured by the Allies during the Second World War. Tiger ‘131’ at the Bovington Tank Museum. 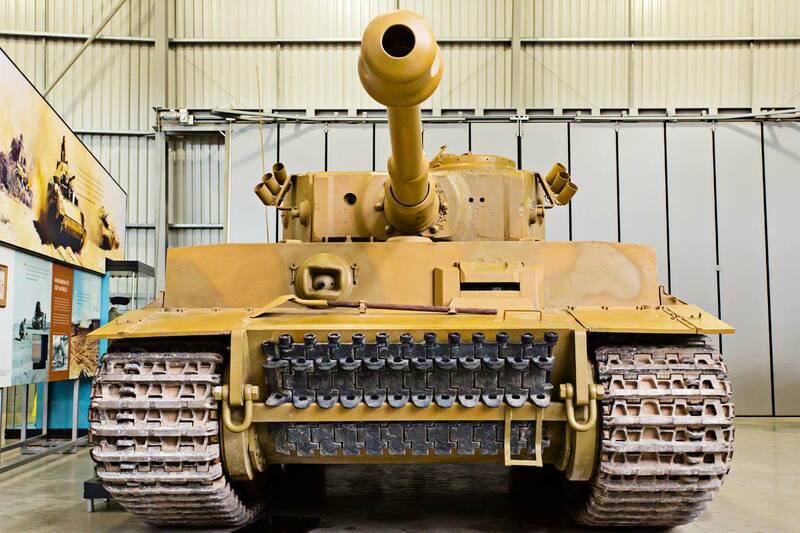 Now that we’ve had a chance to take a look at a greater number of military museums in the UK, we’d certainly have to say that the Tank Museum in Bovington is one of our favourites. If you’re going to visit make sure that you’ve set aside a good few hours to take a thorough look around—it’s certainly needed. This entry was posted in UK Tour and tagged aircraft carrier, ark royal, concorde, fleet air arm museum, tank museum, tanks, tiger tank on September 16, 2014 by Historical Aviation Film Unit.